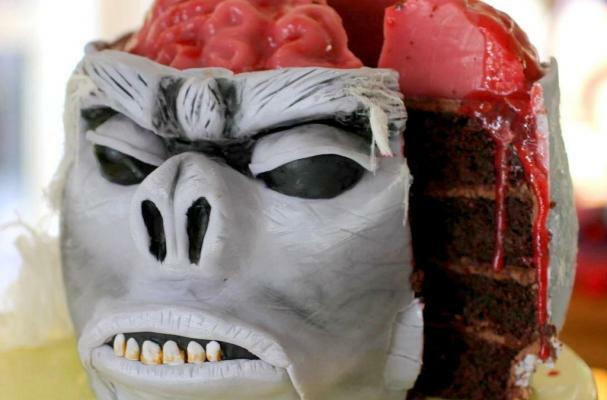 The Monkey Brain Cake is a doomed dessert. The primate confection is a multi-layered cake topped with a Jello brain and raspberry sauce to create a bloody delicious flesh. Made by Bubble and Sweet, the cake serves as a perfect tribute to the Indiana Jones' movie Temple of Doom. For another anatomic confection, check out these brain cakes.